– wins the event and advances to the top of the WIM Series. Stephanie Roble excelled on her home waters of Lake Michigan on Sunday afternoon, as she defeated Anne-Claire Le Berre 3 – 1 in the final of the Buddy Melges Challenge, the penultimate event of the 2015 WIM Series. With this first American victory ever on the WIM Series, the Epic Racing Team of Stephanie Roble, Maggie Shea and Janel Zarkowsky, moves all the way to the top of the leader board. 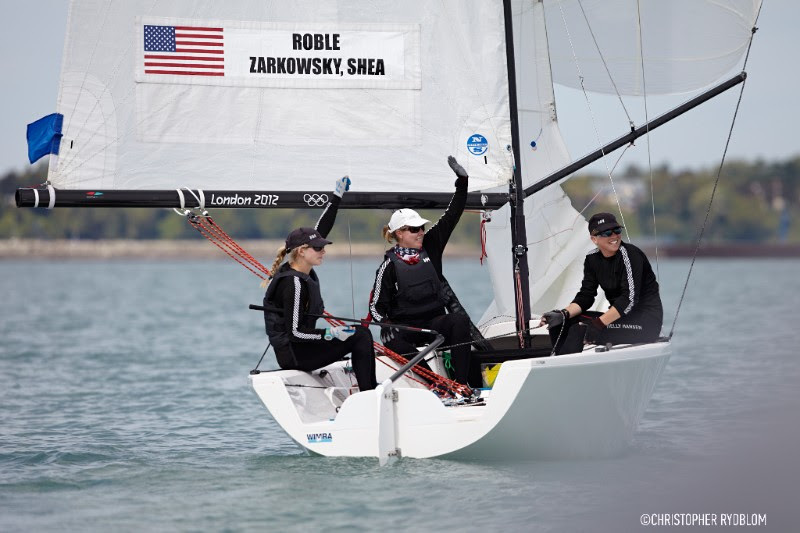 Stephanie Roble, Janel Zarkowsky and Maggie Shea wins the Buddy Melges Challenge in Sheboygan, USA, and climbs to the top of the 2015 WIM Series. Photo: Christopher Rydblom/WIM Series. Stephanie Roble excelled on her home waters of Lake Michigan on Sunday afternoon, as she defeated Anne-Claire Le Berre 3 – 1 in the final of the Buddy Melges Challenge, the penultimate event of the 2015 WIM Series. With this first American victory ever on the WIM Series, the Epic Racing Team of Stephanie Roble, Maggie Shea and Janel Zarkowsky, moves all the way to the top of the leader board: “I want to thank my crew, who never give up, no matter what happens. We’re really excited to win our first WIM Series event on our home waters” a smiling Roble shines. “We had beautiful racing against Stephanie today, and gave her a very good fight, but unfortunately we made more mistakes than her” Le Berre comments. On the big final day of the Buddy Melges Challenge, Lake Michigan offered stable wind conditions with a light southerly breeze and extremely flat water. Due to the light wind, the course was set a little far from shore, so the spectators went out in boats to follow the intense and exciting match racing. Despite the stable wind the conditions were challenging to the crews, putting a premium on good boat handling and boat speed: “The start, the speed and the manoeuvring was more essential than the tactics today. It was also important to get out on the right side of the course first, to gain the starboard advantage at the top mark” Le Berre analyses. Bummed after her loss in the final of the latest event in Lysekil, Sweden, Stephanie Roble was determined not to let that happen again: “We definitely wanted to come back and come out strong for this event. We won the first two final races, but Anne-Claire managed to beat back in the third, when I screwed up the start and gave away the right side of the course to her” Roble describes how the final developed. In the fourth match there were tacking duels up both of the upwind legs, resulting in multiple lead changes. On the last downwind approaching the finish line, the French team kept a narrow lead, but the Americans came with pressure from behind and just managed to cross the line as winners of the Buddy Melges Challenge: “As Anne-Claire was leading we had to keep it close, and rolled her on the last run” Roble explains her successful plan. “Stephanie finished just one metre in front of us, and I must say we could have done that sequence of the race a lot better. Of course we would have preferred to win, to gain more WIM Series points, but now we are looking forward to new fights in Korea” Le Berre says. “We’re obviously very pleased with how this season has been so far. I want to thank Liz Baylis and Terry Kohler for all their hard work on the WIM Series” Roble concludes. In the petit final Swedish World #2 Anna Östling immediately took command, winning two straight matches over Renée Groeneveld of The Netherlands, to secure third place in the Buddy Melges Challenge and 20 valuable WIM Series points: “We worked systematically in the boat today, and we had some great match racing. Renée is sailing on a high level, and we need that to improve” Östling comments. Groeneveld finished fourth in her first match racing regatta since the 2012 Olympics, and wasn’t too sad for her result: “We struggled a bit with the new rules, in a situation that was totally new to us. But we’ve had a great week, and when we came off the water we said to each other that we definitely want to do more match racing in a near future” Groeneveld promises. The Buddy Melges Challenge has been an ISAF Grade One match racing event in Sheboygan for a number of years. The event is named after the famous Olympian, America’s Cup sailor, boat builder, and Wisconsinite Buddy Melges, whose contributions to the sport have been long standing. The trophy for the event resides in the Sheboygan Yacht Club and is a replica of the America’s Cup. The trophy for the WIM Series overall winner – The Terry J. Kohler Perpetual Trophy – is named after Sheboygan businessman Terry Kohler, a long-time proponent and supporter of women's match racing and all of the sailing activities at Sail Sheboygan. The 2015 WIM Series will be decided at the next and final event, the Busan Cup Women's International Match Race, to be sailed in Korea October 28 – November 1. An overall prize purse of 40 000 USD will be distributed by the WIM Series at the final event in Busan, Korea, in addition to the prize money at each of the four events included in the 2015 WIM Series (date, event name, location, boat type): * July 8 – 12, ISAF Women’s Match Racing World Championship, Middelfart, Denmark, Match 28. * August 3 – 8, Lysekil Women's Match, Lysekil, Sweden, DS 37. * September 16 – 20, Buddy Melges Challenge, Sheboygan, USA, Elliott 6. 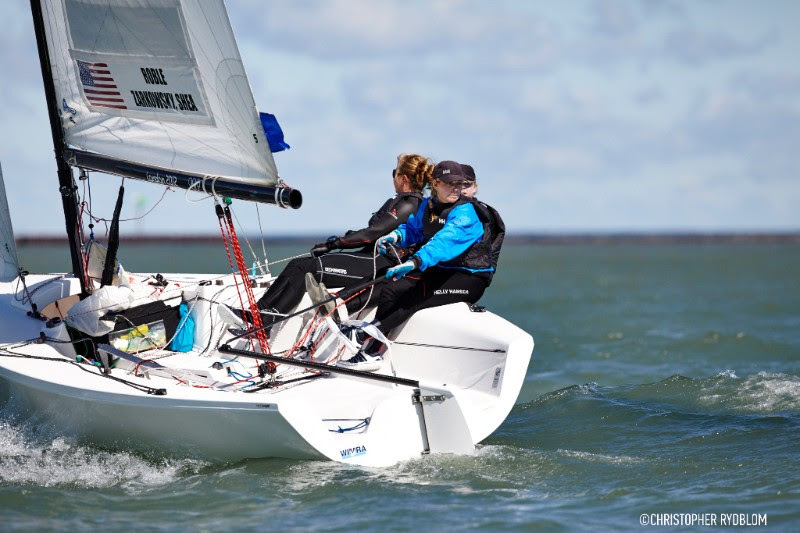 * October 28 – November 1, Busan Cup Women's International Match Race, Busan, Korea, K30. The WIM Series is hosted by WIMRA. Official suppliers are Sailnet, 1080 Media, MILK, Sailing Education Association of Sheboygan, Adstream and Match Racing Results Service. – quarters and semis decided in tricky Saturday conditions. A Saturday with shifty, puffy and in general quite tricky conditions in the Buddy Melges Challenge, saw local hope Stephanie Roble and Anne-Claire Le Berre of France getting through to Sunday’s final. In the semi finals Roble beat Dutch Renée Groeneveld 3 – 2 after five thrilling matches, while Le Berre disposed of the previous dominant Anna Östling, Sweden, with a 3 – 1 record. A Saturday with shifty, puffy and in general quite tricky conditions in the Buddy Melges Challenge, saw local hope Stephanie Roble and Anne-Claire Le Berre of France getting through to Sunday’s final. In the semi finals Roble beat Dutch Renée Groeneveld 3 – 2 after five thrilling matches, while Le Berre disposed of the previous dominant Anna Östling, Sweden, with a 3 – 1 record: “It was really difficult to know where the wind shifts were going today, but I think we made fewer mistakes than the others. Now we’re aiming for the top of the podium” Le Berre declares. “My crew did an awesome job finding the right tactics in the shifts today” says Roble. The fog and the clouds from Friday went away over the night to Saturday, leaving behind the beautiful sunshine seen on the first two days of match racing in the Buddy Melges Challenge. Lake Michigan offered a rather puffy and shifty Saturday breeze, causing the race committee to make a few course changes. As the Saturday afternoon progressed the wind gradually faded, with the buildings of Sheboygan generating some challenging shadows and eddies in the quite light wind at the windward mark, tucked up under the shoreline. “It was definitely a challenging and very stressful day” Stephanie Roble states, adding: “We won the last two semi finals against Renée thanks to my crew, who did an amazing job finding the pressure and letting me focus on driving the boat. In the quarters Pauline Courtois won two out of three starts, but we managed to dig back and play the shifts right, also thanks to great crew work.” “There was a lot going on out there and tough racing, all about picking the right shifts. Simply we lost one match too much, as they didn’t make any mistakes at all” Groeneveld comments, still enjoying being back in match racing after a few years absence. “It’s really good fun. The racing here is very well organized, with good quality and boats in excellent condition. I’ll do the next and final event in Korea for sure, and after that we will decide about our future involvement in the WIM Series” she reveals. Anne-Claire Le Berre struggled with her speed in the big waves at the beginning of the week, but found it timely enough for the quarterfinals, despatching World #1 Camilla Ulrikkeholm Klinkby. Then the French team defeated World #2 Anna Östling in the semis: “We changed our boathandling to get faster upwind, and that helped. Today we sailed very well, playing the tactics and the shifts and managing to choose the right side of the course” Le Berre explains. “We had a hard time today, beginning when Juliana Senfft offered great competition in the quarters and we barely made it to the semis. Then Le Berre raced without mistakes, while we made a few costly ones. The lead changed a lot of times in every race, but she always managed to be ahead of us at the finish.” Östling says, now determined to fight hard for third. “We need that to gain valuable WIM Series points” she concludes. The Women’s International Match Racing Series (WIM Series) is the first and only professional sailing series for women, hosted by the Women’s International Match Racing Association and joined by the world’s leading women match racing sailors. Match racing is sailed in two identical boats around a short course, providing fast action close to the crowds on shore. The intense racing is just as exciting for the spectators as it is strategically, tactically and physically challenging for the competing crews.An overall prize purse of 40 000 USD will be distributed by the WIM Series at the final event in Busan, Korea, in addition to the prize money at each of the four events included in the 2015 WIM Series (date, event name, location, boat type): * July 8 – 12, ISAF Women’s Match Racing World Championship, Middelfart, Denmark, Match 28. * August 3 – 8, Lysekil Women's Match, Lysekil, Sweden, DS 37. * September 16 – 20, Buddy Melges Challenge, Sheboygan, USA, Elliott 6. * October 28 – November 1, Busan Cup Women's International Match Race, Busan, Korea, K30. – the penultimate event of the 2015 WIM Series resumes Saturday. The first two days of excellent sailing conditions in the Buddy Melges Challenge on Lake Michigan, USA, was on Friday followed by nothing but the opposite. Thick fog rolled in over the Sheboygan race course, effectively killing not only the wind, but every attempt to get any racing going. After several hours of fruitless waiting both ashore and on the water, Principal Race Officer Rich Reichelsdorfer saw no other way out, than to postpone all racing until Saturday. 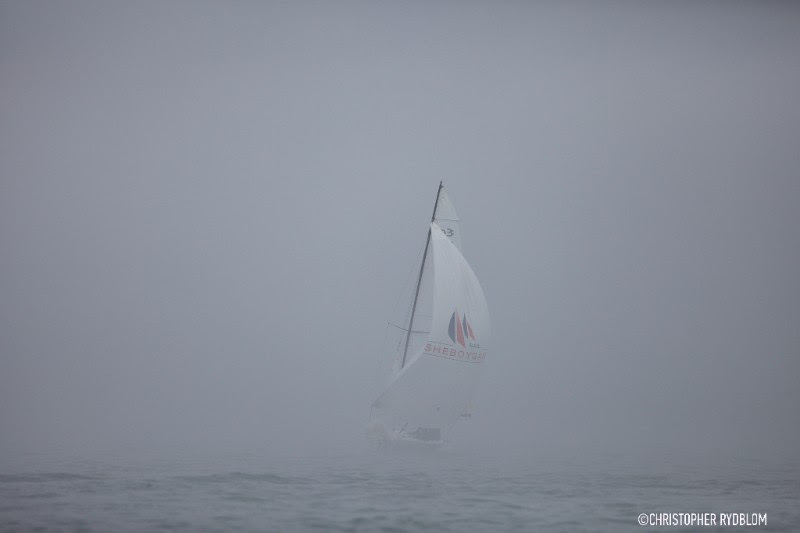 Thick fog rolled in over the Buddy Melges Challenge race course on Lake Michigan, USA, postponing the quarterfinals until Saturday. Photo: Christopher Rydblom/WIM Series. The first two days of excellent sailing conditions in the Buddy Melges Challenge on Lake Michigan, USA, was on Friday followed by nothing but the opposite. Thick fog rolled in over the Sheboygan race course, effectively killing not only the wind, but every attempt to get any racing going. After several hours of fruitless waiting both ashore and on the water, Principal Race Officer Rich Reichelsdorfer saw no other way out, than to postpone all racing until Saturday: “We plan to stick to the program as best as we can, but may need to make adjustments throughout the day tomorrow. We hope to conclude the semis Saturdayand decide the final matches on Sunday, as the forecast is for the light air to come back” he explains his plan. Thunderstorms passed through the Sheboygan racing area during the night between Thursday and Friday, and the strong southerly wind that was so reliable for the beginning of the Buddy Melges Challenge, was nowhere to be seen Friday morning. When the fog settled in mid-morning, sailors were told to stay ashore. At around 14.00 the breeze filled in from the north and pushed the fog away, so the quarterfinal crews left the dock. But even before the boats managed to reach the racing area, the wind had already begun to die again. Then the thick fog rolled back in, but the wind never did. The AP over A signal was hoisted at 15.45, signalling that the racing was postponed for the day. Changing weather conditions provide a new challenge, and the 2015 Buddy Melges Challenge Round Robin Results. Where to find live race information. –Groeneveld just one point behind, followed by Roble. World #2 Anna Östling keeps dominating the Buddy Melges Challenge, the penultimate event of the 2015 WIM Series. After another day with just ones on the score sheet, the Swede concludes the round-robin with a clean sweep. 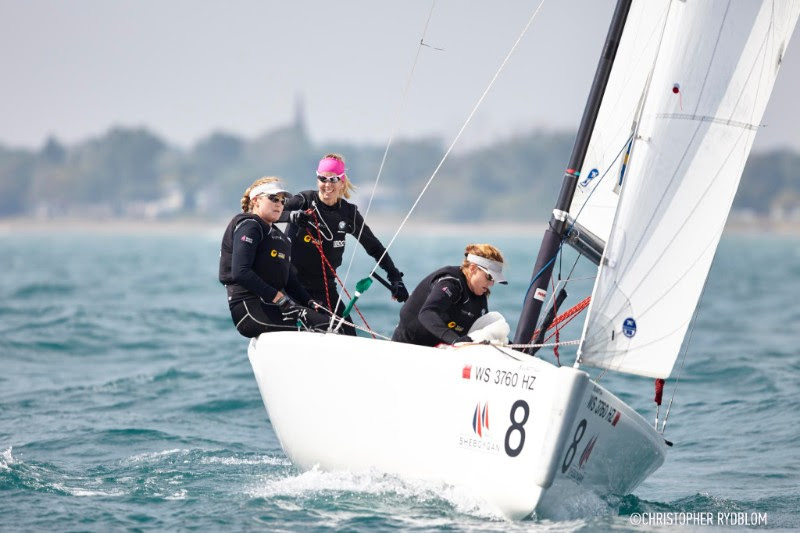 Swedish crew of Anna Östling and Annie and Linnea Wennergren won the round-robin of the Buddy Melges Challenge in Sheboygan, USA. Photo: Christopher Rydblom/WIM Series.Östling takes Sheboygan round-robin 10 – 0 –Groeneveld just one point behind, followed by RobleWorld #2 Anna Östling keeps dominating the Buddy Melges Challenge, the penultimate event of the 2015 WIM Series. After another day with just ones on the score sheet, the Swede concludes the round-robin with a clean sweep: “It’s been so fun, the conditions are fabulous. We’ve been proactive and communicative in the boat, fighting hard for every metre, but it’s great when the hard work pays off” the exhausted but very happy skipper sighs and smiles.The sailing conditions on the Lake Michigan race course, set by Principal Race Officer Rich Reichelsdorfer just off the beautiful Blue Harbor Resort in Sheboygan, Wisconsin, were almost a carbon copy of the opening day. Bright sunshine, fairly big waves to get the most exciting surfs on, and even a bit more wind with gusts up to 18 knots: “This is sailing, in general, and match racing, in particular, at its best” Anna Östling states. Except for one recent day of practising in the Elliott 6M:s in Sheboygan before this event, Renée Groeneveld of the Netherlands hadn’t done any match racing at all since sailing in these exact same boats in the 2012 Olympic quarterfinals. Nevertheless she only lost one match in the round-robin, to the seemingly unbeatable Swede: “We didn’t expect anything, and are really surprised how well we’ve been doing. Of course we’ve made some mistakes, but I still have the match racing skills somewhere in the back of my head. Some of it a little too far away in the back though” Groeneveld explains with a big smile on her face. While Östling and Groeneveld won all their Thursday matches, home sailor and World #3 Stephanie Roble recovered very well from a not that good opening day of the round-robin, also lining up only wins. An especially eventful match was decided already in the start, when Roble gave Pauline Courtois a really hard time. The French skipper got two penalties quite early in the pre-start manoeuvring. Then she was black-flagged for coming down too much on the American boat, in an attempt to keep clear of the starting line before the signal went off: “We’re really happy with how things went today. The weather was pretty similar to yesterday, but we worked better together in the boat and sailed a lot faster” Roble comments. Friday morning Anna Östling will choose her opponent for the quarterfinals, to be followed by sail-offs for 5th to 8th and 9th to 11th places. The weekend will then see the semis and the final matches. On Sundaywe’ll know who gets her name on the Buddy Melges Challenge Trophy, a replica of the America’s Cup, residing in the Sheboygan Yacht Club. – even though Groeneveld scored more wins. On her comeback to the match racing scene, Renée Groeneveld of the Netherlands surprised with six wins and just one loss on the first day of the Buddy Melges Challenge, the penultimate event of the 2015 WIM Series. World #2 Anna Östling scored one win less on Lake Michigan, USA, but still sits alone on the very top of the leader board, rewarded for her perfect 5 – 0 score. Swedish crew of Anna Östling and Annie and Linnea Wennergren defeating Renée Groeneveld, Annemieke Bes and Michelle Broekhuizen of the Netherlands, at the first day of racing in the Buddy Melges Challenge in Sheboygan, USA. Photo: Christopher Rydblom/WIM Series. On her comeback to the match racing scene, Renée Groeneveld of the Netherlands surprised with six wins and just one loss on the first day of the Buddy Melges Challenge, the penultimate event of the 2015 WIM Series. World #2 Anna Östling scored one win less on Lake Michigan, USA, but still sits alone on the very top of the leader board, rewarded for her perfect 5 – 0 score: “We worked smoothly together in the boat today, focusing on the big picture. That made us really fast, especially upwind” the Swede comments. “It was good fun today, in great conditions. The waves made the racing very technical, but our boat handling was excellent” says Groeneveld. Renée Groeneveld represented the Netherlands at the match racing competition of the 2012 London Olympics in Weymouth, reaching the quarterfinals. Since then she hasn’t done much match racing, and is currently without a position on the ISAF World Ranking. That situation will definitely change if she continues the Buddy Melges Challenge on Lake Michigan in the same way she’s started the event: “Some parts of today’s racing were feeling really natural, while other parts didn’t. We made some big match racing mistakes, real presents for our opponents” Groeneveld laughs and shakes her head. In Wednesday’s seven matches the Dutch team was only defeated once. Despite a red flag penalty in the match against Anna Östling, for taking room she wasn’t entitled to at the top mark, Groeneveld continued her fierce fight. All the way to the finish line she and Östling raced on in their head-to-head battle, narrowly won by the Swedish boat at the end: “We had rather big waves and excellent surfing conditions, so the finish came down to who got the last surf. This time we were fortunate” Östling analyses the outcome. Local hope Stephanie Roble was challenged by the sailing conditions, with 10 to 15 knots of quite steady breeze and waves enough to get the big surfs, all under a bright sun from a clear blue sky: “We haven’t done any match racing since the latest WIM Series event in Sweden more than a month ago, so we have to get back into the groove and get into the Elliotts again. Today it was tricky driving conditions with the big waves, and we struggled a bit coordinating our crew work. The matches were close but we lost two. Now we’re looking forward to learning from today’s lessons and continuing racing tomorrow” the American World #3 says. – Sheboygan, USA, welcomes world top 6 and a total of 11 skippers. On Lake Michigan, in the mid-US town Sheboygan, the world’s top ranked women match racing skippers are now gathered for the penultimate 2015 WIM Series event. Named after the legendary sailor, the Buddy Melges Challenge will be raced for the remainder of this week. Sheboygan, the world’s top ranked women match racing skippers are now gathered for the penultimate 2015 WIM Series event. Named after the legendary sailor, the Buddy Melges Challenge will be raced for the remainder of this week: “We’re really excited to be back in Sheboygan. It’s not officially our home waters, but we’ve done a lot of match racing here and love the waters and the boats. We were really disappointed losing the final of the latest WIM Series event in Sweden, so now we’re looking forward to a different outcome” says local hope and current WIM Series runner-up Stephanie Roble.Kicking off with two Scandinavian sea events, the ISAF Women’s Match Racing World Championship in charming Middelfart, Denmark, and the Lysekil Women’s Match in the picturesque archipelago of Western Sweden, the 2015 WIM Series now moves on to interesting fresh water conditions. With the course set just off the beautiful Blue Harbor Resort in Sheboygan, the intense and exciting racing will be visible from the bluffs along Lake Michigan. The Buddy Melges Challenge will be raced in a fleet of totally equal Elliott 6Ms, the same boat type as in the London 2012 Olympic Sailing Competition: “I haven’t raced that boat since. It might turn out to be rather funny to watch” says World #1 and 2015 WIM Series leader, Camilla Ulrikkeholm Klinkby of Denmark. “I think we’ll see a mix of conditions this week. It will be challenging for sure, but my team is really experienced and I feel great confidence going into the event” Stephanie Roble comments. “Sailing in September in Sheboygan can be challenging, as the weather changes from the light air and heat of August, to a more fall like weather pattern, where it can be a mix of everything. Last year we struggled with a stalled high pressure that provided some days of very light winds. This year’s event looks to be setting up quite nicely, especially for the first couple of days” Principal Race Officer Rich Reichelsdorfer points out. 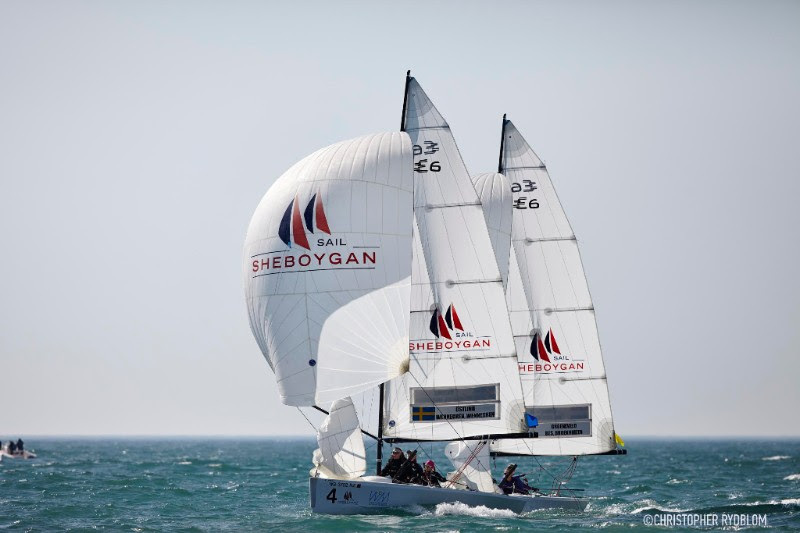 “The Sheboygan Yacht Club is thrilled to be the venue for this stop on the 2015 WIM Series. As Commodore and a woman who sails, it is an honour to have this event at our Club. We welcome the ladies of the WIM Series, and wish them the best this coming week” Sheboygan Yacht Club Commodore Michou Reichelsdorfer adds. The Sailing Education Association of Sheboygan, SEAS, as the over arching organization of the boating activities groups of Sheboygan, is also honoured to have the WIM Series in town again this year: “The Series was started in an effort to provide women with racing opportunities similar to those available for men, and SEAS is all about creating boating opportunities for people who might not otherwise have them” states Leslie Kohler, president of SEA Sheboygan. 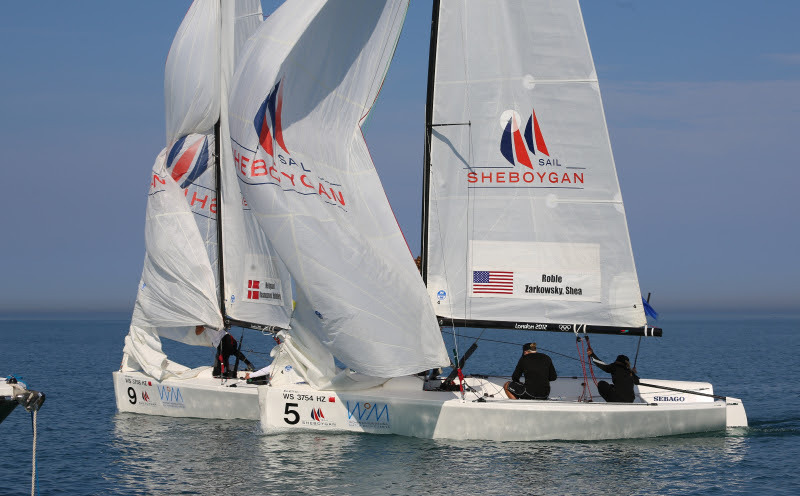 “Having great partners like Sail Sheboygan, SEAS and the Sheboygan Yacht Club is what makes the WIM Series so successful. With their continued commitment to women’s match racing since 2007, we are very excited to have the Buddy Melges Challenge as a cornerstone event in the WIM Series now and in the future” WIM Series Manager Liz Baylis concludes. The trophy for the WIM Series overall winner – The Terry J. Kohler Perpetual Trophy – is named after Sheboygan businessman Terry Kohler, a long-time proponent and supporter of women's match racing and all of the sailing activities at Sail Sheboygan. The Women’s International Match Racing Series (WIM Series) is the first and only professional sailing series for women, hosted by the Women’s International Match Racing Association and joined by the world’s leading women match racing sailors. Match racing is sailed in two identical boats around a short course, providing fast action close to the crowds on shore. The intense racing is just as exciting for the spectators as it is strategically, tactically and physically challenging for the competing crews.An overall prize purse of 40 000 USD will be distributed by the WIM Series at the final event in Busan, Korea, in addition to the prize money at each of the four events included in the 2015 WIM Series (date, event name, location, boat type): * July 8 – 12, ISAF Women’s Match Racing World Championship, Middelfart, Denmark, Match 28. * August 3 – 8, Lysekil Women's Match, Lysekil, Sweden, DS 37. * September 16 – 20, Buddy Melges Challenge, Sheboygan, USA, Elliott 6. * October 28 – November 1, Busan Cup Women's International Match Race, Busan, Korea, K30.The WIM Series is hosted by WIMRA. Official suppliers are Sailnet, 1080 Media, MILK, Sailing Education Association of Sheboygan, Adstream and Match Racing Results Service.Images: A number of hi-res images are available for download on www.wimseries.com/media/More information about the Women’s International Match Racing Series: WIM Series Press Officer Joakim Hermansson, media@wimseries.com, +46 70 604 25 04 WIM Series Manager Liz Baylis, Liz@wimseries.com, +1 415 691 6202 www.wimseries.com www.facebook.com/WIMSeries www.twitter.com/WIMSeries www.youtube.com/WIMRSeries www.instagram.com/WIMSeriesThe Buddy Melges Challenge has been an ISAF Grade One match racing event in Sheboygan for a number of years. The event is named after the famous Olympian, America’s Cup sailor, boat builder, and Wisconsinite Buddy Melges, whose contributions to the sport have been long standing. The trophy for the event resides in the Sheboygan Yacht Club and is a replica of the America’s Cup.